Neil C. Kerch is a Criminal Defense Attorney serving Broward, Miami-Dade and Palm Beach Counties. If you or a loved one has been arrested and you are looking for an experienced, affordable, aggressive, and innovative Criminal Defense Attorney the call (954) 801-6338 to schedule your free initial case consultation. 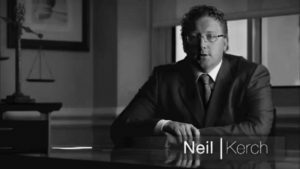 To learn more about Neil C. Kerch watch the video below and check out his background and qualifications by clicking here.